Our WorldHost Principles of Customer Service programme will give your staff the skills and knowledge to deliver excellent customer service that will give your business a great reputation. Through this interactive programme, we will get your staff to think about their own experiences of good and bad service, understand why their role has such an impact on your customers’ experience, and learn vital communication and listening skills that will set them up for success. The WorldHost Principles of Customer Service training course is ideal for any member of staff that has day-to-day interaction with customers – whether they’re an assistant, supervisor, department head or director. It’s also relevant to staff in non external customer-facing roles; many of our clients report that the training improves communications between work colleagues (ie internal customers) as well as staff involved in front-line customer service. We have trained all our employees on the WorldHost Customer Service Programme. It ensured that they all know the principles of excellent customer care and how to go that little bit more. 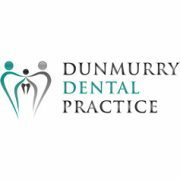 It has helped us to achieve two customer excellence awards in both Lisburn and Belfast, which is reassuring to new patients joining the Practice. All the staff have loved attending the training days too delivered by the Customer Sense team.